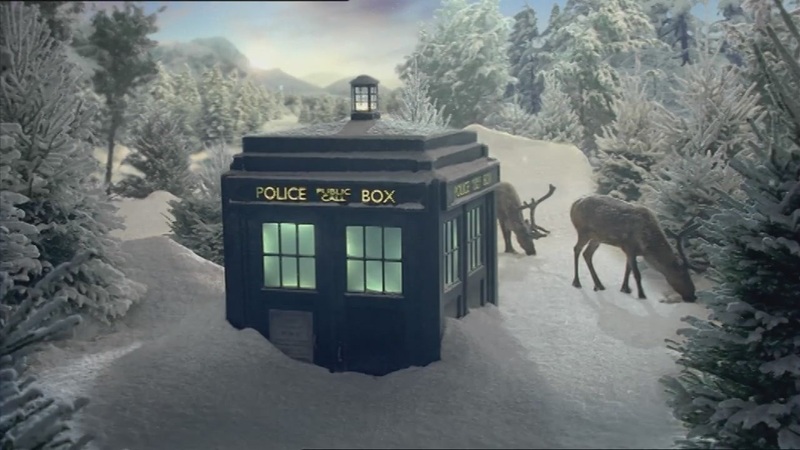 Just one year ago, The Time of the Doctor brought us all to a town called Christmas, where we witnessed the tragedy of the Eleventh Doctor bidding us farewell. Since then, Whovians have been riding a roller coaster of confusion and strange new emotions in the latest season (so please note: you'd better be fully caught up with said season before reading this). Jeff, as the Eleventh Doctor called him, will likely be getting some major screen-time. But there's no telling whether he'll still go by that name; the switch between lead actors has been rather drastic, so who knows whether the current Doctor will succumb to such a wacky informality with Saint Nicholas? In fact, the transition between Matt Smith and Peter Capaldi was the show's most major change since last winter, with mixed responses from the fan base as a result; particularly because of Capaldi's age. While Smith’s goodbye in 2013 did feel like a letdown to me at the time (namely thanks to the bald cap and the aging face of the youngster we all knew and loved), I can also see the brilliance of why it had to happen in such a manner. Modern audiences had to be drawn into the show’s reboot with young actors like Christopher Eccleston and David Tennant and Matt Smith; but the original Doctors were much older. Don't pretend you didn't know that. By the end of the episode, the only Doctor to remember Gallifrey’s salvation (and ergo lose his shame of youth) was the Eleventh, played by Matt Smith. Of course, he still had a young face even if his mind had grown otherwise. Then along came The Time of the Doctor, where the Eleventh found himself stuck in one place for century upon century… and aged. So when he finally regenerated into a new body, naturally that body was much older than before. Furthermore, the writers of Doctor Who (Steven Moffat in particular, for those of you who have seen his work displaying various fan theories on the third season of BBC’s Sherlock) have always been notoriously self-aware of their fans. 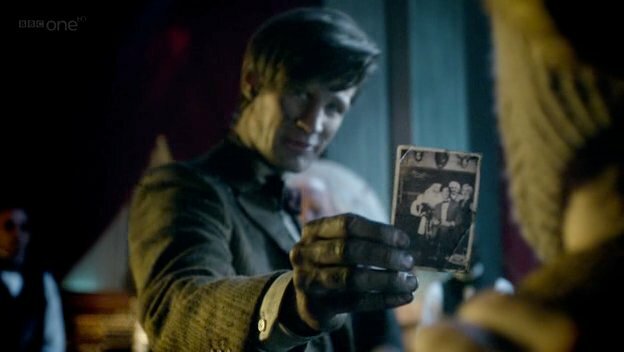 When Matt Smith appeared in his premiere episode, The Eleventh Hour, he had to prove himself to somebody who had met him in the past but had since lost faith in him… just as many fans were threatening to lose faith in the Doctor because he was no longer played by David Tennant. Similarly, in Capaldi’s first episode (Deep Breath), his companion Clara had a difficult time accepting him because of his newly-aged face. She had to be reminded (as many fans did) that the Doctor was old, and that he’d worn a young face in order to be accepted. He’d even gotten caught up with the romance aspect himself (as the makers of the show did), and this was even explained in the remarks traded between Clara and the Doctor at the end of Deep Breath. In actuality, the Doctor isn't just talking to Clara here... he's talking to the audience. You see, there’s an entire fan theory (highly accurate, to my mind) which defines Clara as the very embodiment of the show’s fan base itself. Clara shares a birthday with the show, and her diary omits years in which the show took a hiatus. The Doctor visits her once a week for their adventures, and she initially traveled with him because she fancied him (as she accidentally admits in The Time of the Doctor; many younger fans started watching for the same reason). She’s been everywhere that the Doctor has been, always watching and always saving him without ever being recognized or noticed. Because of this, she’s the only person to recognize his every face up to the present. She’s lived different lives as different people (as the fan base is made up of many people), but has always had the same heart: one full of love for the Doctor (so much so that she constantly dies to save him). A heart so full of love has no room for anything else, so when her doppelgänger ‘Oswinn’ got stranded on the Dalek Asylum, she couldn’t be fully transformed into a Dalek since the conversion process requires hatred in the human subject. Since Clara had only love in her heart, she remained herself: the only ‘good Dalek’. Up until Capaldi’s arrival, Clara had been acting for a long time almost as the Eleventh Doctor’s babysitter; tempering his childish roaming and functioning as “the boss” in the relationship (as the fans also seemed to control the direction of the show). But upon his regeneration, she found that she was interacting with an aged stranger: one who was no longer constantly chipper, or even generally friendly; and he was now calling the shots even if she didn’t like them. Since then, their relationship has dramatically changed: the Doctor is darker, more cryptic, and frankly more difficult to trust. Not because the show gave him any new history — all three of the previous Doctors had their own sobering episodes — but simply because we used to overlook those parts of him in favor of his wacky cheer. Now he’s lost his comedy almost altogether, and most of us (like Clara) don’t like it. We’ve had some incredible adventures in the past season, to be sure, but as long as Clara lingers, so does that shadow of Smith. We need someone new who will learn to trust the Doctor from scratch, so that we too can regain our faith in him. I’d like to see a male companion again, or a sibling duo, perhaps… or an additional alien companion to mix things up. Then again, I’d settle for the show to have a single multi-racial relationship that works out (seeing as how Mickey and Martha ended up together, while Donna’s first fiancé and Danny Pink both bit the dust). At any rate, I think it’s probably for the best that Clara’s adventures with the Doctor come to an end (as is rumoured to happen this very Christmas). But based on the theory that Clara represents the show’s fan base, I get the feeling that her ‘end’ will not be a simple death, separation, memory loss, or abandonment of the Doctor (as we’ve seen in the past with other companions). Like us, no matter how much she tries, she just can’t give up traveling with him. So, ideally, she should be divided up into a thousand lives once more (something akin to her previous timeline split), or absorbed into the T.A.R.D.I.S. itself (in a sort of “Bad Wolf” scenario that I particularly like the idea of, because then she'll always be with him). Because as long as the Doctor lives, we too shall live. As long as he travels, we too shall travel. We will never stop watching him. And we will never stop loving him.